Congratulations to our 2018 scholarship award winners! 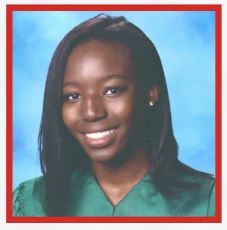 Kayla Roberson is a Senior at Duncanville High School, Duncanville, Texas. She will be pursing an Engineering Career at the University of Texas at Austin’ s Cockrell School of Engineering. She was a Student Representative for the National Student Diversity Leadership Conference in 2015. She is a Presidential Service Award Recipient. Kayla is involved in the Math Club; Spanish Club; Cross CountryVarsity; African Student Union Member; and Book Club Member and More. She is a volunteer with the Girl Scouts; THANKs Teens helping abused and neglected Kids, served on the Teen Service Board for three years. She volunteers at Ronald McDonald House of Dallas; North Texas Food Bank; the Chocolate Mint Foundation-Food Pantry and Children’s Library; Southwest Suburban Dallas Chapter of Jack & Jill, where she served as the Teen President, Vice President and Protocol Chair. She is a Student Tutor at Cigarroa Elementary. Kayla will graduate at the top 15% of her class. Narsis Sailale is a Senior at John Dubiski Career High School in Grand Prairie, Texas. He will be pursuing a career as a corporate Mechanical Engineer at Texas Tech University. He is involved in the Student Council; Technological Student Association; Friends of Rachels; Skills USA-Sargent at Arms; GPISD Experience-Fall Leadership and Engineering Pathway. Narsis is an Honor Roll Student with perfect attendance. He was honored with the Student Appreciation Award; UT Arlington STEM Camp Award and the Robotics Engineering Design Awards. He did an Internship at Hagan Plastic. He volunteers at King of Glory Church; Prairie Paws; NAACP; Mission Arlington; Boy Scouts and More. 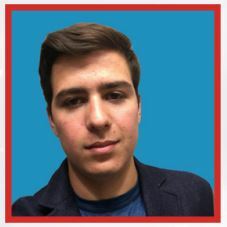 Javier Campos is a Senior at Garland High School in Garland, Texas. 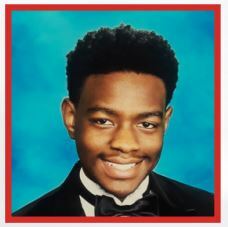 He is pursuing a Career in Mechanical Engineering at the University of North Texas or University of Texas at Arlington in the Fall. He is a Member of the National Honors Society and received the Academic Excellence Award from 2014-2018. He is a Member of DECA; Future Farmers of America; Guitar Club and American Football Club. Javier is proficient in Math and Physics. 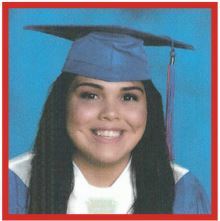 Kathleen Marquez is a Senior at Bishop Dunne Catholic School in Dallas, Texas. She is pursuing a STEM Career at NASA. She will be attending the College of Mount Saint Vincent in the Fall. She is on the Bishop and Principle Honor Roll; She is a member of the National Honors Society and was the Science Club President. She visited Rome, Italy and London, England, including Oxford University. She is involved in Photography; Basketball, where she received Sixth Woman Award; MVP, Junior Varsity Basketball; Volleyball and Varsity Softball. Kathleen volunteers with North Texas Food Bank, Kiest Park Community Clean-Up; Salvation Army Angle Tree; JFK Project, Boys & Girls Club of Dallas; Texans Can Academy; Salazar Elementary, St. Elizabeth Catholic School; DISD Homeless Children, Sleeping Bag Collection; Foster Parent for a Dog and More. 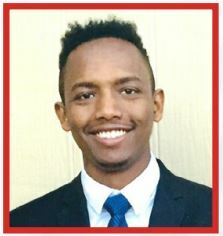 Halakhe Godana is a Senior Gilbreath-Reeds Career and Technical Center High School in Garland, Texas.He is pursuing a Career in Engineering at Texas A&M University at Galveston in the Fall. Halakhe was nominated for the National Academy of Future Scientists and Technologists Award of Excellence. He was Awarded Best Player and Most Valuable Player on the Garland Owls Varsity Soccer Team, where he is theCaptain; Awarded Academic Excellence Patch For School Years 2014-2016. He won First Place in Garland ISD Art Show for Design, a 3D Self Portrait. Halakhe is a member of the National Honors Society; President of the Robotics Club; Team Thrive Leader, DECA and Web Master for the Key Club. He volunteers with UNICEF Tap Project; City of Garland Cleaned Community Park; Translator for Angel Tree, Red Cross Blood Drive and More. Halakhe did an Internship at Southern Methodist University Civil and Engineering Department in Dallas, Texas.